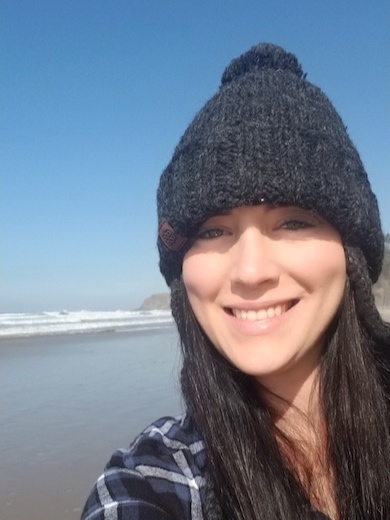 It is with genuine excitement and gratitude that we introduce Vanessa Wood as the newest addition to the therapist team at Dustin Palmer Bodywork & Massage. Vanessa brings over 15 years of experience and some exciting new therapies to our studio. Read her Bio below. I grew up in a very holistic family so natural therapies have always been a large part of my life, between what kind of health care my family would receive to my family making natural personal care products using only the best ingredients and essential oils. Since a very young age, when I knew someone wasn't feeling well, perhaps they had a bad headache, whenever I could I would work on their neck and shoulders, or back. I also would try to help them feel better through the use of reflexology when I knew they had something specifically more internal going on. I began hearing more and more people gratefully informing me that I had helped them. This made me feel so deeply good that I did not have to think about what I was going to do for my career. I was too young to go to massage school but I started looking into massage schools and found the one I wanted to attend. I called up the school and expressed my firm resolve to attend their school. The instructor/owner was on the Michigan board of massage therapy and licensing at the time and told me that if I could get myself to class, I could attend that school. I began working little odd jobs like chores for people and babysitting so I could save up for a car and to pay my way through school and as soon as I was old enough I got my driver's license and bought my first car and immediately got myself enrolled into the Institute of Natural Therapies out of Houghton-Hancock. I was able to attend the coming semester. I graduated at 16 years old and then accepted one of two job offers on graduation day, which was taking over a massage practice at a chiropractic office over an hour from home. My parents encouraged me to take this job and I was able to find a very small home near my new job that I could afford to live in alone. I spent the next seven years working out of a chiropractic clinic and tailoring all of my massages to very specific needs of patients. Working in the chiropractic environment was like 7 years of continuing education because I worked so closely with the doctors and their patients. I have continued to work with massage therapy clients to address very specific physical issues that they are experiencing, whether recent issues or chronic issues, tailoring each session to their needs. I feel that it is very important to strike a balance between therapeutic and still being able to relax. I specialize in deep tissue therapy mainly, but I have found that what this means is different for each individual and therefore I work on that level for each treatment.